THE PERFECT SOLUTION FOR LAST MINUTE TOUCH-UPS AND COLD WEATHER GROOMING! EnviroEquine Stain Away Spray is perfect for cold weather grooming or those times when water is in short supply. It is formulated to be tough on grass, urine, manure and dirt, but gentle on skin. Stain Away dissolves unwanted stable stains with a quick spray and rub with a cloth. No water needed. 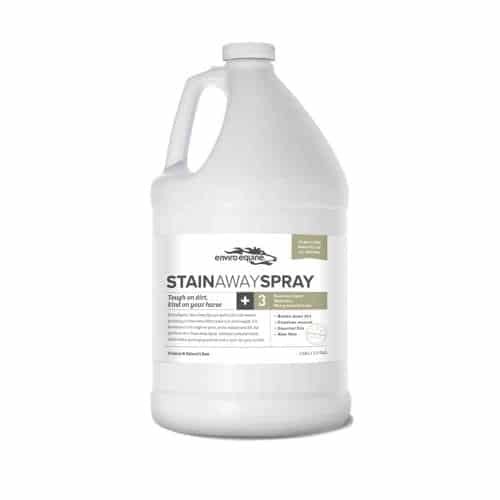 Stain Away Spray uses a blend of essential oils to dissolve troublesome stable stains in seconds. The refreshing smells of peppermint and spearmint deodorize, while the lemongrass naturally cleanses the coat and chamomile oil protects the hair from environmental damage. The proven antimicrobial properties of tea tree oil help protect against the bacteria that may be lurking within stains. This ready-to-use spray is the perfect solution for last minute touch-ups and cold weather grooming. The preferred choice of leading grooms for emergency stain removal. Stain Away Spray is completely cruelty- free, never tested on animals and uses only the highest quality ingredients. 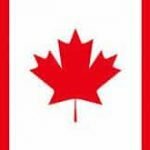 Enviro Equine & PET products are made from “science and nature’s best” to create better health and well-being for your horse, with all natural, organically sourced ingredients. All of our grooming products are chemical free, cruelty free, and enriched with essential oils and nourishing ingredients. We hand pack each product on a daily basis for guaranteed freshness and traceability. We wouldn’t think of giving our own horses or pets anything else. 4 oz., 32 oz., 1 Gal., 2.5 Gal. Shake well before use. For hair coat stains, lightly spray on to the coat and either rub with a rag or grooming brush until stain disappears. Alternatively, spray on to a brush or rag and groom or wipe the stain until removed. For manes and tails, apply directly and comb through. Stain Away Spray does not need to be rinsed off. Once dry, groom as normal for amazing shine.